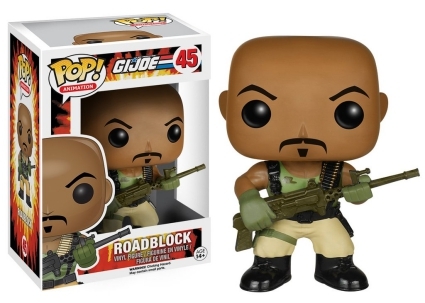 Funko Pop G.I. 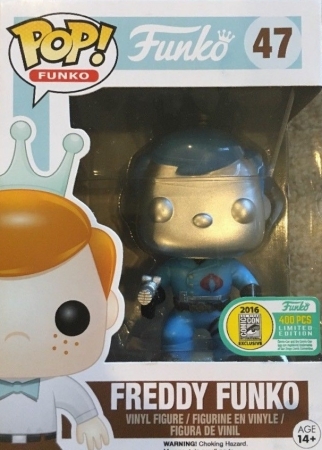 Joe honors the cartoon favorite with a line of Pop! vinyl figures. 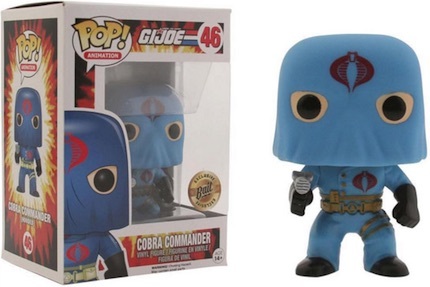 The set includes stylized subjects including Snake Eyes, Storm Shadow, Cobra Commander. 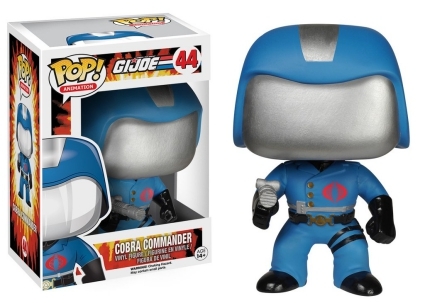 As many fans know, the animated series revolves around the U.S. military's ongoing battle against the evil Cobras. The good guys are represented by Snake Eyes and Roadblock, while Cobra Commander and Storm Shadow comprise the opposition. 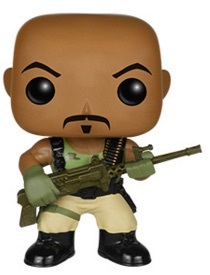 Order Funko G.I. 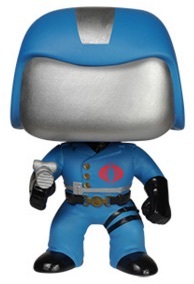 Joe Figures on Entertainment Earth. 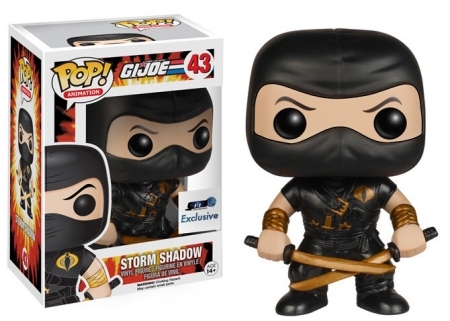 In addition to the primary figures, Funko Pop G.I. 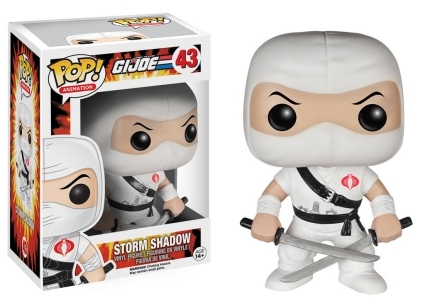 Joe also includes exclusive options including Storm Shadow in Ninja-Ku attire that was issued through GTS, while a hooded Cobra Commander is exclusive to Bait. Furthering the villain lineup, founder of M.A.R.S. Industries Destro is a 2017 New York Comic Con exclusive. The Funko Pop G.I. 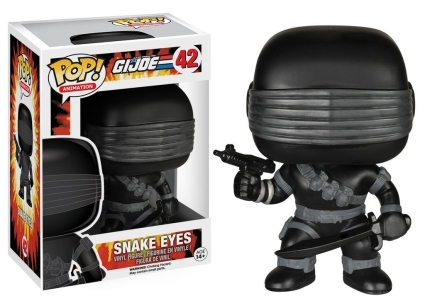 Joe figures are numbered as part of the Pop! Animation line and stand approximately 3 3/4" tall. Funko POP! 'G.I. 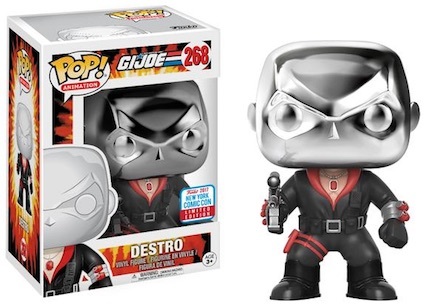 JOE' - DESTRO Vinyl Figure Metallic FALL CONVENTION Exclusive!